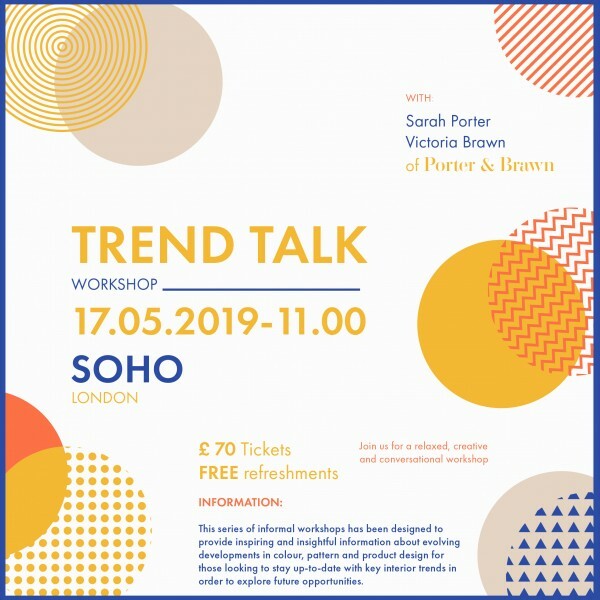 The session will be relaxed, creative and conversational, full of visuals and mood boards – perfect for anyone involved or interested in the interiors arena, from designers to creative enthusiasts. 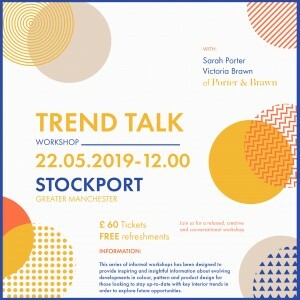 We will start with a presentation on the recent European trade fairs and will end with a relaxed discussion about developing trends for SS20 and AW20. This session is expected to last approximately 2 hours. Are you a retailer or brand looking for some trends assistance to maximise the potential of your seasonal product selection in line with key commercial objectives? 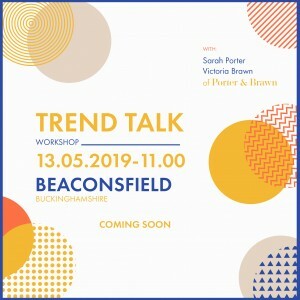 Are you a designer who wants to keep ahead of the evolving trends in the interiors market but perhaps unable to devote time to attend every trade fair? 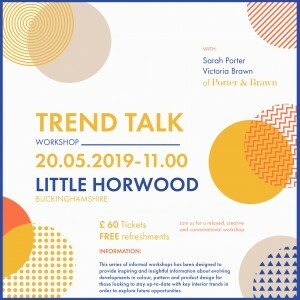 In the workshop, we will be presenting and discussing key learnings from some of the most important trade fairs this season including Heimtextil, Maison Objet, Top Drawer, Salone del Mobile and more. We will take you through our findings from these shows as well as insights from across the current market. We will share our tips on how to implement this knowledge into your current range/design portfolio and we will take a closer look at other important factors that are shaping the market including a low-down on colour projections. SOUND INTERESTING? – SECURE YOUR PLACE NOW!